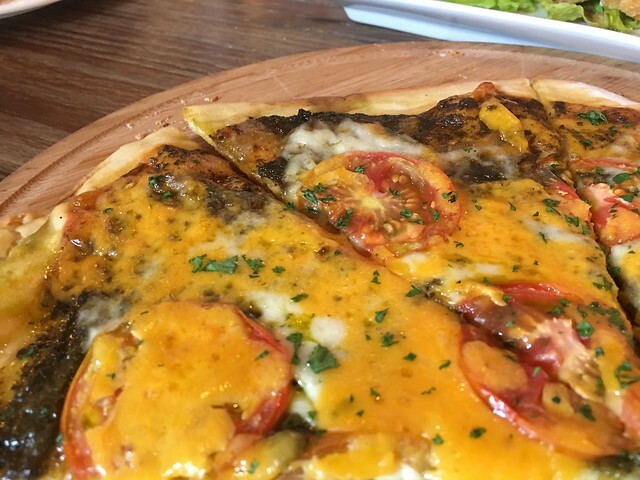 Last October 15, 2016, The Foodie Station was invited to a food crawl hosted by Zomato to try out the newly opened tambayans in Tomas Morato Avenue. 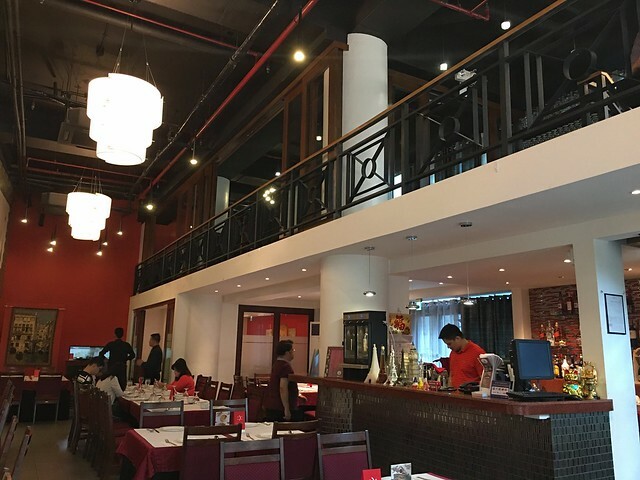 Tomas Morato Avenue is a well-known restaurant strip located in Quezon City’s entertainment area, along with Timog Avenue and West Avenue. It is a popular hangout for the barkada, foodies, and local actors who work in the nearby studios. The area never runs out of new offerings. 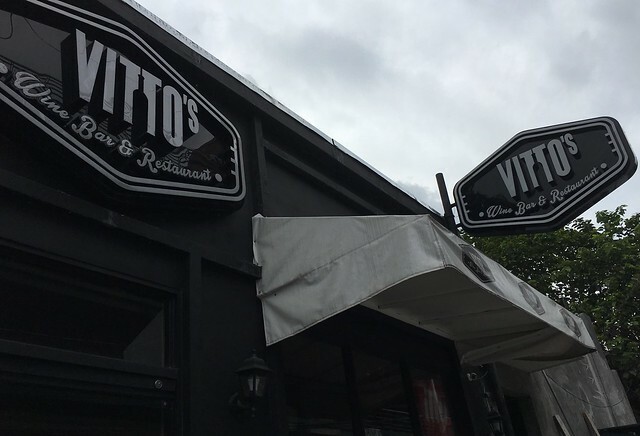 Our first stop was Vitto’s Wine Bar and Restaurant located at 114 Scout Lozano Street. The place was a bit small but the interior was very classy. The wall art, lighting, and the mirror added glamour to the place. The ambiance is perfect for an evening chill or a Friday night catch up. They served us chicken ragu, crispy bacon, pizza, pasta, and mixed cold cuts and cheese platter. The toothsome dishes were paired with bottles of red and white wine to spice up the afternoon. Aside from the mixed cold cuts and cheese platter (because you can never go wrong with this pair), our favorite dish was the Pasta Al Funghi. 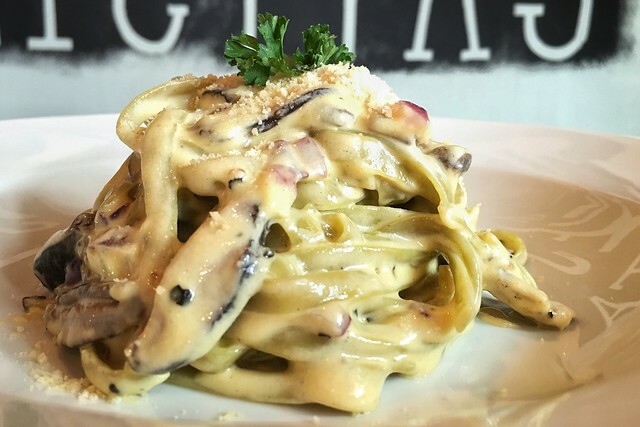 Every forkful of the fresh soft spaghetti pasta in creamy truffle white sauce was highly satisfying and surely made our taste buds crave for more. Their pizzas were also good but could use more toppings for an added “wow” effect. 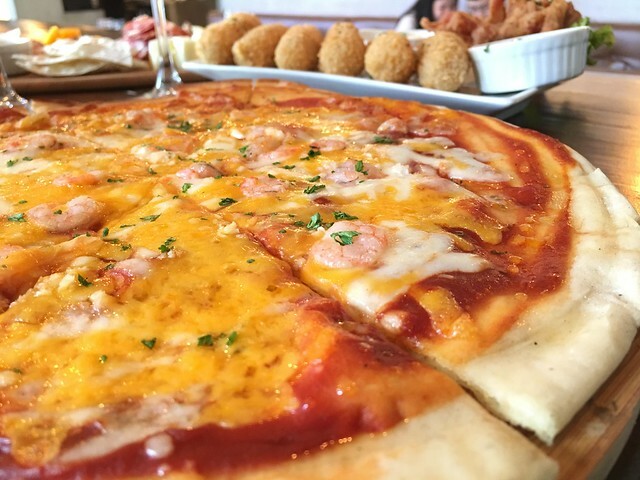 For thin crust lovers, their pizzas are definitely worth trying. Second stop was Tower Restaurant located at 53 Scout Rallos. 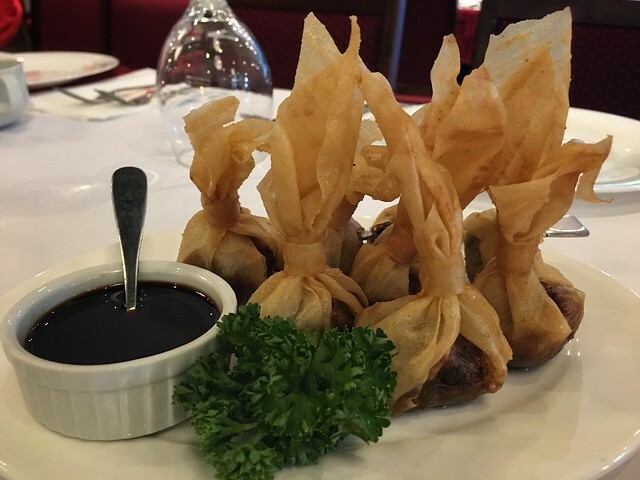 The restaurant was spacious and fancy looking, perfect for family occasions and office events. 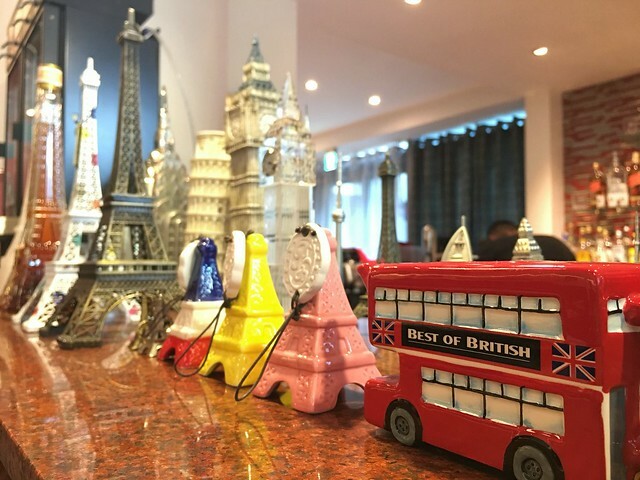 We also spotted miniature Eiffel Towers at the bar and classic wall paintings giving the place an aristocratic look. 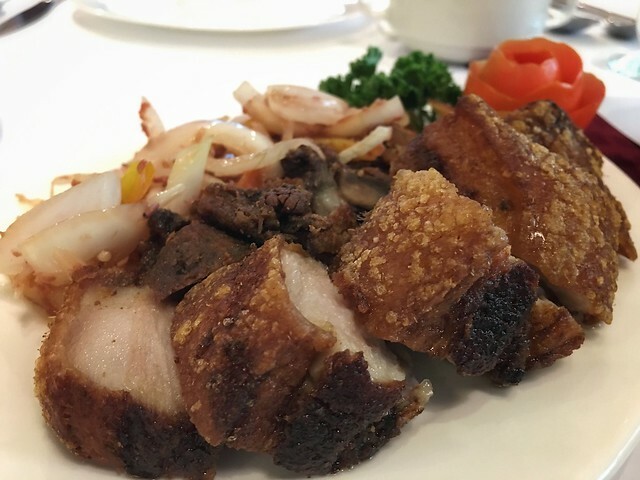 Tower Restaurant served us classic Filipino dishes… with a twist. 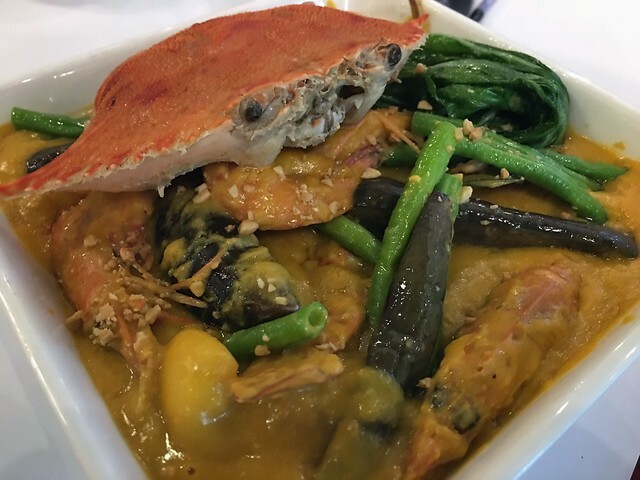 Their best-selling Seafood Kare-Kare is a must-try as they used crushed salted eggs (yes, salted eggs go with everything these days) to make the sauce even creamier. The Pinakbet, Bagoong Rice, and Crab Rice were all spectacular as well! 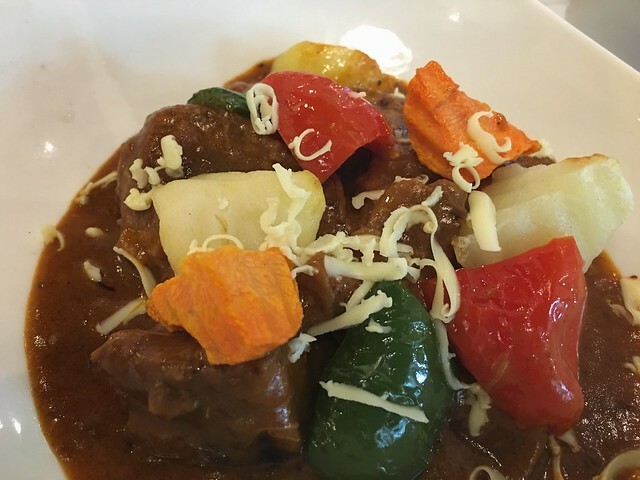 The flavors of each dish tastefully matched and complemented each other. The presentation in itself was so appetizing that hunger returned immediately at the sight of food, making us forget that we just had lunch. Each serving is good for 2-3 persons so we can pretty much conclude that their prices are very reasonable. We did a little research and found out that the owner is an architect. 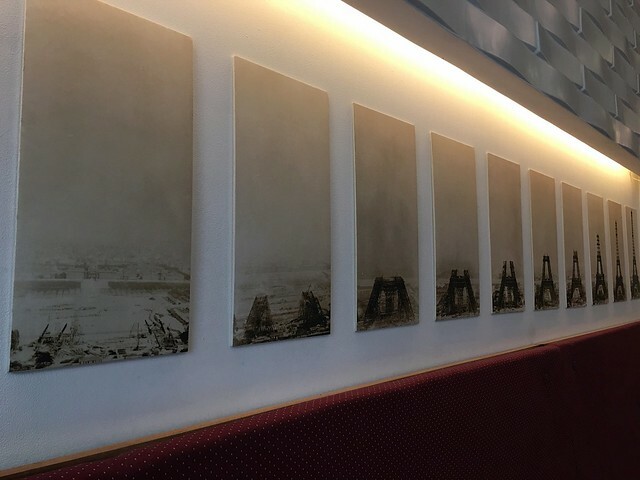 We initially thought that the restaurant was given the name Tower because of the owner’s profession, but soon found out that the real reason behind the name is that the structure where the restaurant is situated is actually a tower! So if ever you decide on visiting Tower Restaurant (which we highly encourage) and find yourself lost, just simply look up and search for a tower. Here are the other dishes we were served. 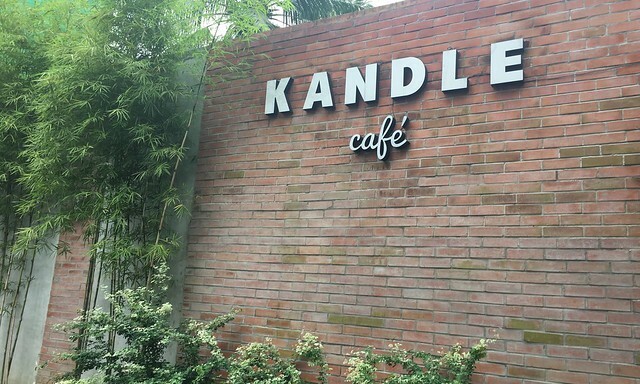 Coming from heavy meals from the last 2 restaurants we just visited, our next stop was Kandle Café. Yeiy coffee! Just what we needed to fight off food coma! 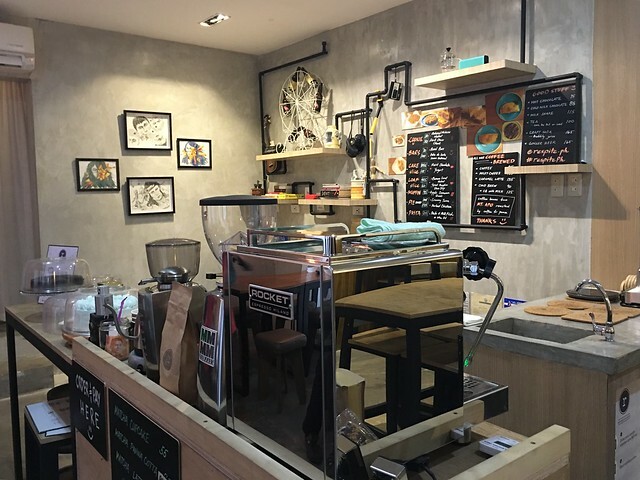 Kandle Café is a third-wave coffee shop owned and managed by the Ong-Hay siblings and is noted as one of the best date places in the North, located at 113 Mother Ignacia Avenue. It is an ideal place to curl up to a good book, work, or study as the set up is very lovely, comfortable, and peaceful. We ordered our drinks at the bar while observing how the barista prepared them. Our group had Strawberry Milkshake and Iced Mocha. 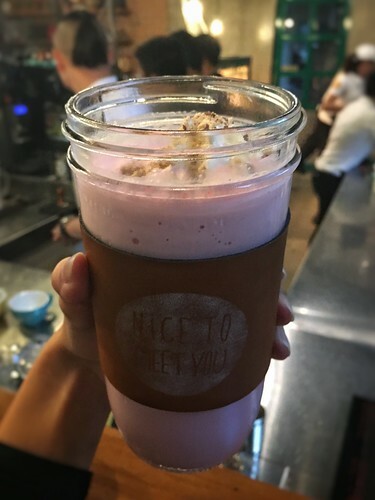 The texture of the Strawberry Milkshake and Iced Mocha were smooth and the flavors were superb! Just right for an energy boost. Kandle Café uses homegrown beans in their coffee giving their beverages a strong, waking up pleasure. We were also served real food. 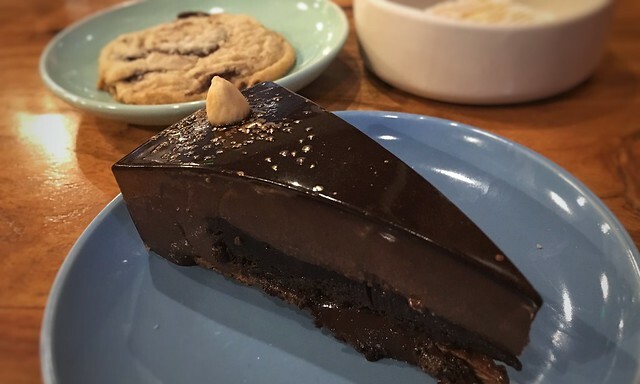 Their dishes are inspired by health-conscious people and everything on their menu is made from scratch. From cakes, pastries, and pasta to patties, bacon, and breads. Healthy living doesn’t have to be boring. 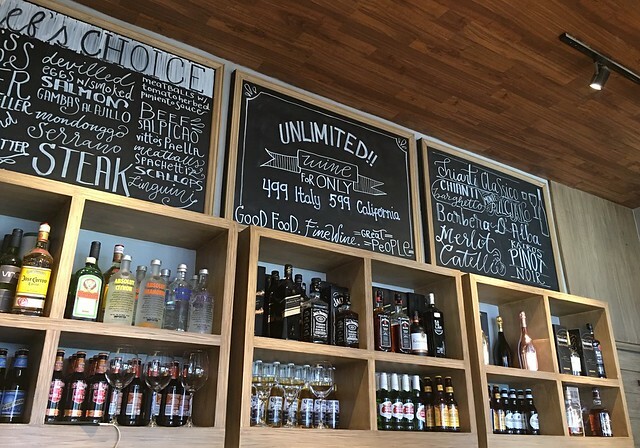 The owners simply prefer healthier alternatives. Our favorite was the Mr. Egoy and Ms. Eggy Pasta. 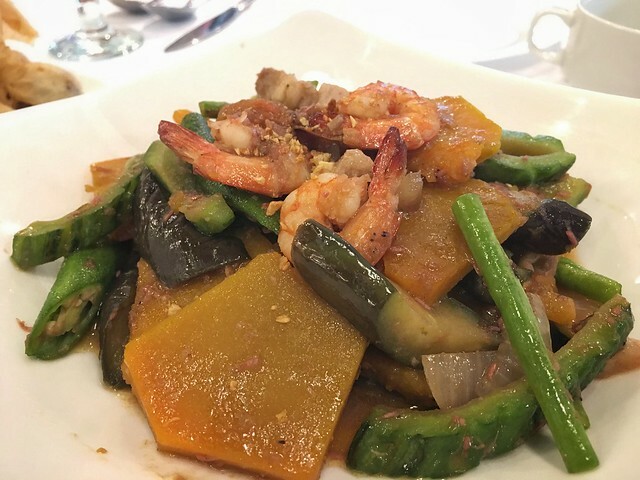 The witty name comes from the ingredients of the dish – homemade squid ink married with salted egg. The pasta was served with spinach and sous vide egg drizzled with in-house bacon. The presentation was so pretty and Instagram worthy. 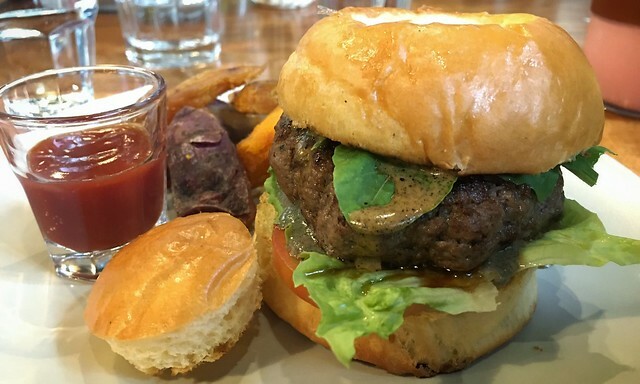 We also loved their Kandle burger, made with homemade brioche, 100% beef patty stuffed with pesto cheese and green and red charred pepper sauce. It was served with over easy egg on top and Kamote fries so diet conscious people need not worry… that much. The Kandle Café experience was lovely. The place was homey and the food and drinks were delicious. We would definitely go back and try their other dishes. 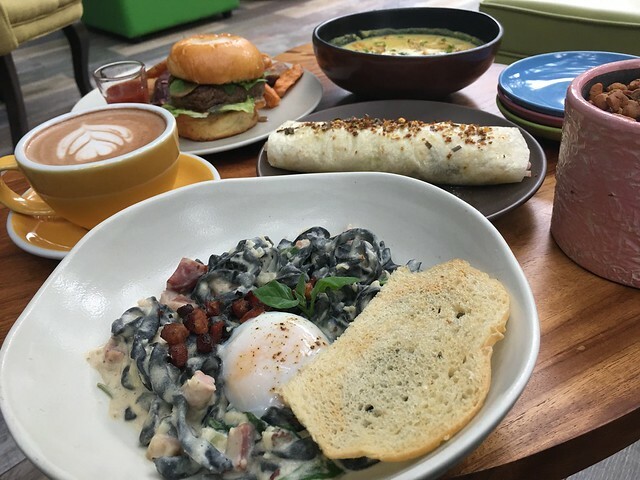 Respite is a small café located at 72 Mother Ignacia Avenue. The place is commonly used for events and workshops, sending out an art gallery-ish vibe to the coffee shop. 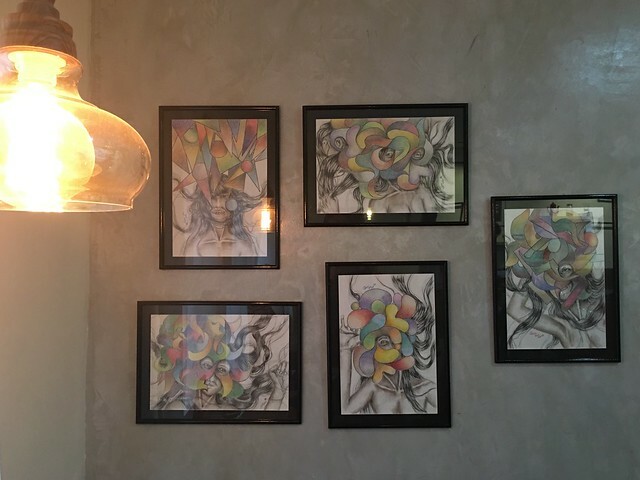 The artworks that hang on the walls painted by various artists are for sale. Respite is owned and managed by the Tan sisters who are very passionate in their craft. Their food did not disappoint and their prices reasonable. 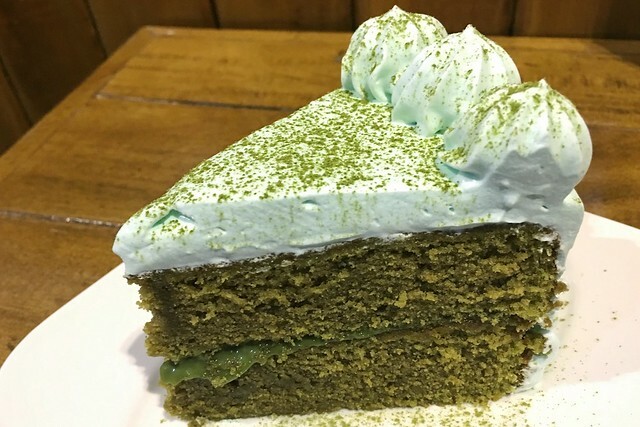 They do not overstock on ingredients to maintain the quality of their food and their cakes and pastries are always fresh. Their aim is to supply and their customers usually buy in bulk. Respite specializes in black coffee and mainly uses coffee beans from Mt. Apo. We had their best-selling Cold Brew made from ground coffee beans steeped for 18 hours using cold water. Not sure though if that was a good move as we were all kept wide awake longer than planned. Nonetheless, the coffee was excellent. 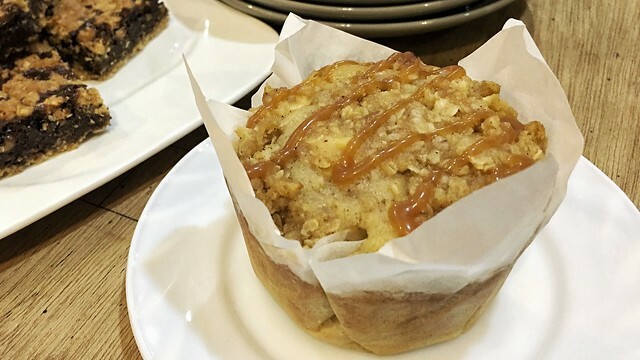 For pastry lovers, take note, this is the place for you. 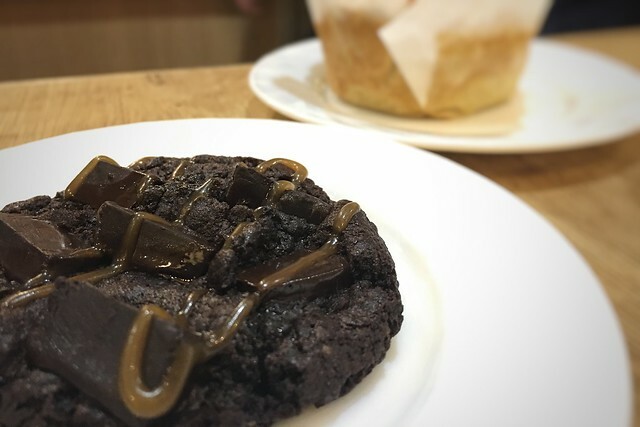 We specifically recommend their Dark Choco Chunk Cookie which happens to be their their best seller as well. 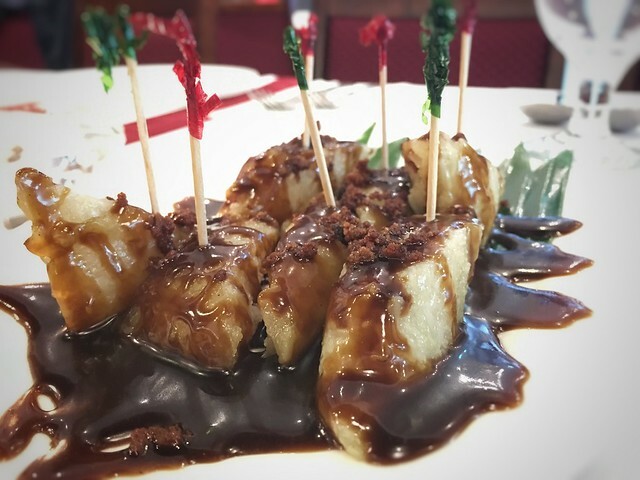 Every bitter-sweet bite appealed strongly to our senses. 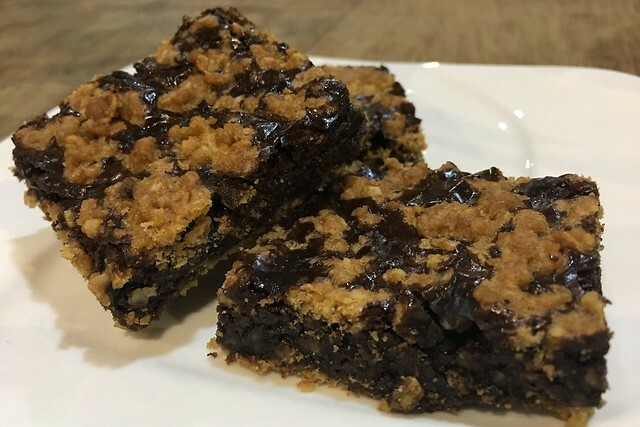 We were also served Revel bars, Dulce de Leche Oatmeal bars, Spiced Pumpkin Choco Chip Loaf, Banana Carrot Walnut loaf, and Matcha Cake, all of which were super delectable and pleasingly yummy. 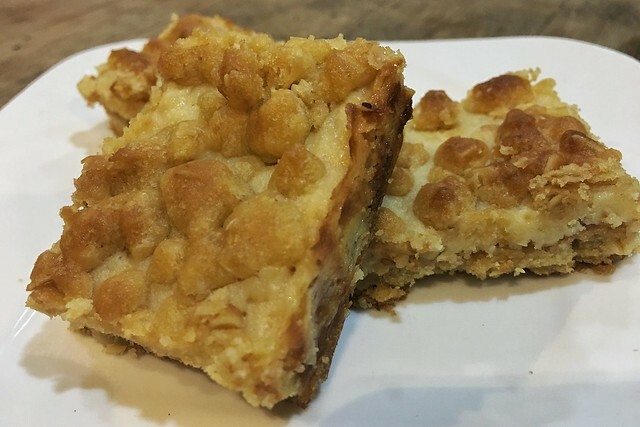 We even bought bars, loafs, and slices to take home because we just couldn’t get enough! The Tomas Morato Food Crawl was excessively fattening but at the same time a lot of fun! We were given the chance to experience exciting and unconventional dishes and we had the opportunity to meet new and awesome friends. So thankful and happy to have been part of this event. 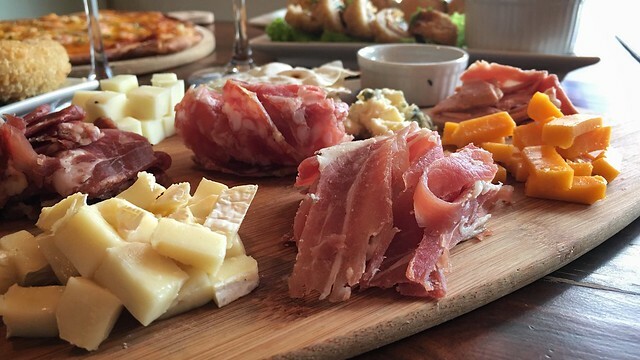 Cheers to more food crawls, Foodies!